"We love to learn and we love to tell stories, but seldom is this supported in the classroom, and even less in the new digital spaces where we learn. This thoughtful work provides new ideas for constructing meaning and learning through e-story. Educators, learning designers, and new kinds of storytellers won’t be able to put it down. It tells a compelling story." 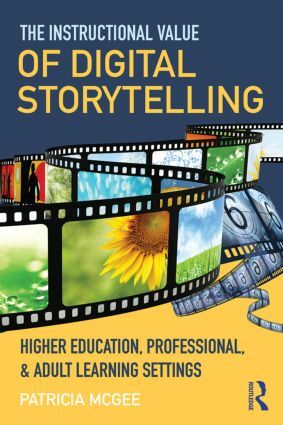 "A compelling and comprehensive treatment of the history, philosophical underpinnings, and best practices of master storytellers, written for the digital age. A must-read for anyone interested in the topic of storytelling!" Patricia McGee is Associate Professor of Digital Learning Design at the University of Texas at San Antonio, USA.